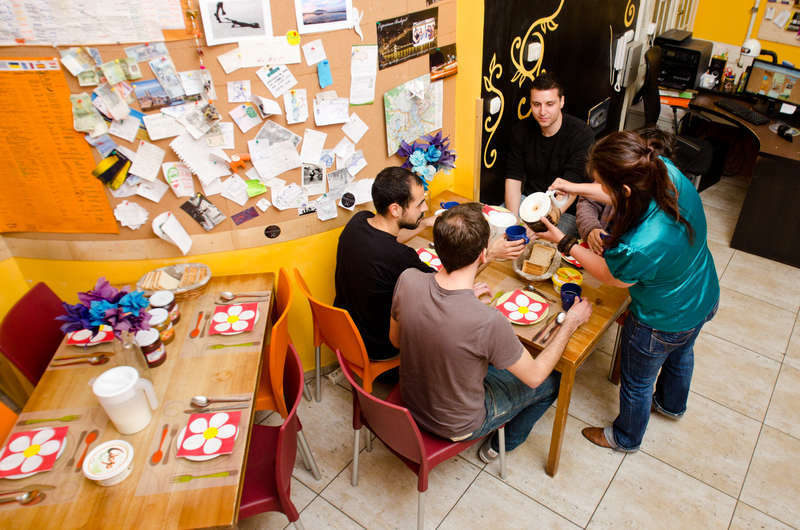 The Colors Budapest Hostel & Apartment enjoys a quiet and central location, 100 metres from the pedestrianized Vaci utca shopping street. It offers a shared kitchen and a 24-hour supermarket. The reception is open 24 hours a day and there is no curfew. Free WiFi is available in all areas of the hostel. 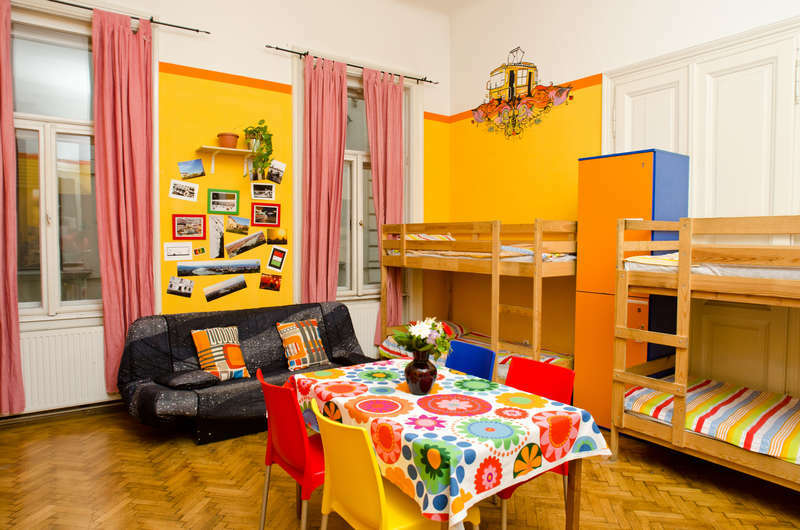 All rooms and dormitories in the Colors Budapest are simply but nicely furnished and feature parquet floors. The private rooms are situated in an apartment. Internet workstation and a TV with cable channels are available for free. There is also a fully equipped shared kitchen available, and continental breakfast is served each morning. Guests can enjoy entertainment programmes and live music on Fridays. The Danube River and the Ferenciek tere Metro stop are only 300 metres away and the Hungarian National Museum is 500 metres away from the Colors Budapest Hostel & Apartment. Numerous restaurants, bars and clubs and the most important sights are easily reachable on foot. Walking tours, pub crawls and caving under the Buda Hills can be organised. An official taxi will cost around EUR 26 and take around 30 minutes (prices may be higher and journey times longer at peak times). From Nepliget, take Metro 3 for 15 minutes and EUR 1.2. From Kelenföld Train Station, take Metro 4 for 20 minutes and EUR 1.2. From Keleti Railway Station, take Bus 107 for 15 minutes and EUR 1.2. The closest motorway junction is Budaors of M1,M7. In off-peak hours, it takes 30 minutes by car. No fees for bookings cancelled within 48 hours of booking - then we will charge the first night of the staying.